Gregory A. Roth, MD, MPH, is Adjunct Assistant Professor of Health Metrics Sciences at the Institute for Health Metrics and Evaluation (IHME) and Assistant Professor at the Division of Cardiology at the University of Washington School of Medicine. At IHME, he leads cardiovascular disease modeling for the institute’s landmark Global Burden of Disease Study. Dr. Roth’s research focuses on global cardiovascular health surveillance, population health, and quality of care and outcomes for cardiovascular diseases such as heart failure. His research has been funded by the American Heart Association, NIH National Institute on Aging, Medtronic Philanthropy, and the Bill & Melinda Gates Foundation. He is an Associate Editor of Global Heart, the journal of the World Heart Federation. 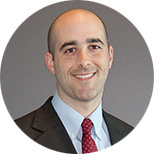 Dr. Roth earned his bachelor’s degree and MD from Brown University and his MPH from the University of Washington. He then trained in internal medicine and cardiovascular diseases at the UW and served as an attending physician in the emergency department at Harborview Medical Center, Seattle, and as a consultant physician at Whakatane Hospital, New Zealand. He received additional training as a postdoctoral fellow with the Veterans Administration Health Services Research and Development branch. He is an attending cardiologist and echocardiographer at Harborview Medical Center, Seattle. IHME was founded in 2007 at the University of Washington to provide better health evidence to improve health globally by guiding health policy and funding. Benziger CP, Roth GA, Moran AE. The Global Burden of Disease study and the preventable burden of NCD. Global Heart. 2016 Dec 8; 11(4):393-397. doi: 10.1016/j.gheart.2016.10.024. Gabert R, Thomson B, Gakidou E, Roth G. Identifying High-Risk Neighborhoods Using Electronic Medical Records: A Population-Based Approach for Targeting Diabetes Prevention and Treatment Interventions. PLoS ONE. 2016 27 July; 11(7): e0159227. doi: 10.1371/journal.pone.0159227. Murray CJL, Roth G. Progress and challenges in the fight against smoking and cardiovascular disease. European Heart Journal. 2014 Jul 1:35,1625–1633. doi: 10.1093/eurheartj/ehu186.